This Picture Perfect Single Family has a driveway and 4 Bay Garage! On a quiet cul de sac adjacent to a park with splash pool & playground equipment! This warm & wonderful home offers so much for an astute Owner Occupant or a market savvy Investor! Superior Layout with 4 Bedrooms plus a Den & 2 Full Baths! New Gourmet Custom Eat in Kitchen with Designer Cabinets, Granite Counters & Stainless Appliances including Oversized French Door refrigerator! Lovely Detail throughout! Formal Livingroom with angled Fireplace! Unique Pocket Door with Beveled Glass! Formal Dining room with period China Cabinet & built ins! Towering Ceilings! Gleaming Hardwood Floors! Many recent capital improvements! New ultra high efficiency gas furnace, newer roof, windows & insulation! Freshly Painted inside & out! 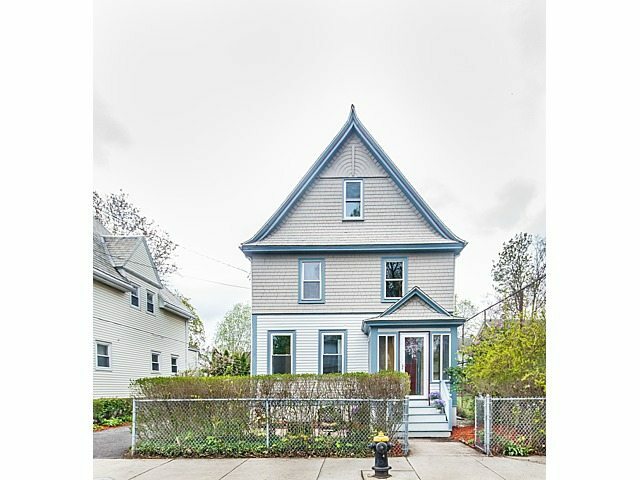 Minutes to the Harvard Business School, Mass Pike, Cambridge and Boston bus stops! A True Value in Today’s Vibrant Market!! Click here for more photos!